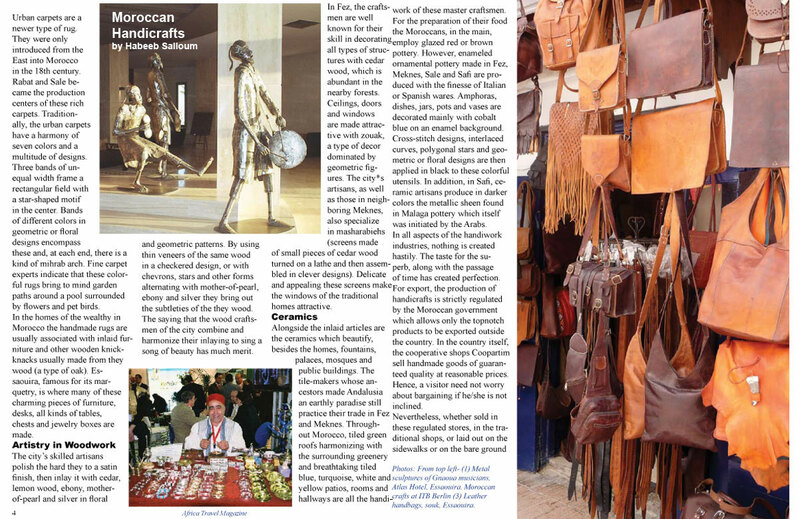 On behalf of Africa Travel Association members who had their first experience of Morocco during ATA Conferences in Marrakech (1996) and Fes, (2002) we commend Tour Operator Benachir Akli. He worked tirelessly with our ATA Executive Director and Moroccan Tourism authorities to assure success on both occasions. 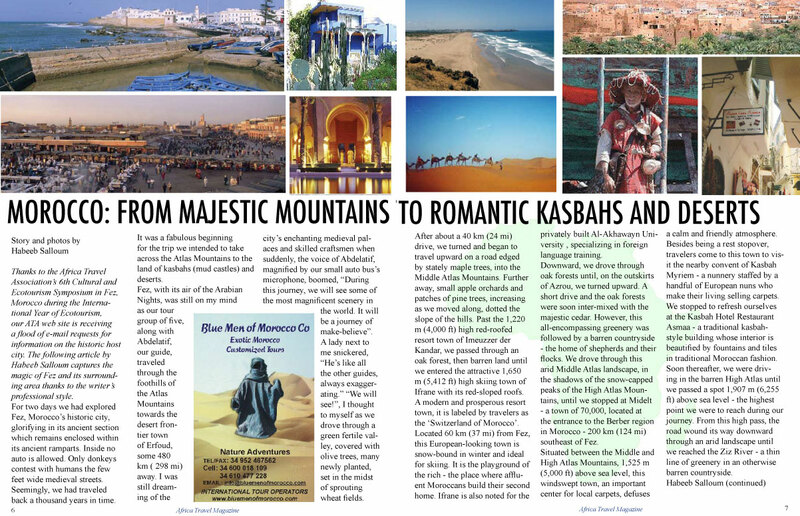 This opened the door for our members and clients to experience tours such as author Habeeb Salloum describes in this issue. Moroccans are reading our articles more than ever, as this country just moved to number 3 position on our Webtrends Top 24 list after USA and UK.